Do you have some exciting new research you'd like to share? Would you like to practice and polish your "elevator speech" with faculty and fellow graduate students? 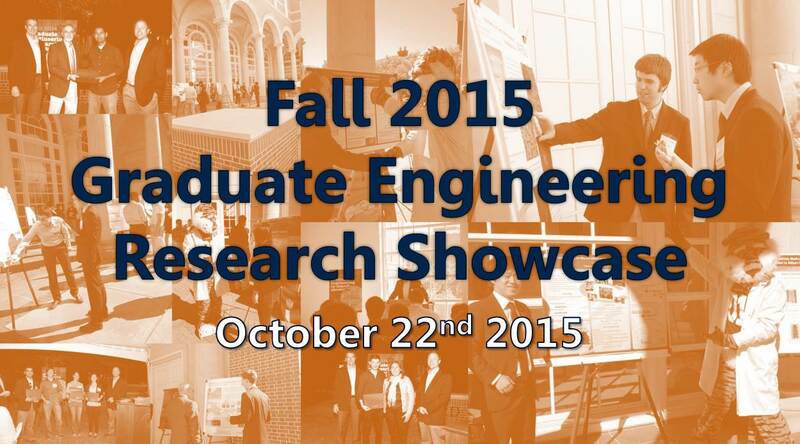 Are you thinking about presenting a poster at Auburn's Graduate Forum and Research Week in the spring? 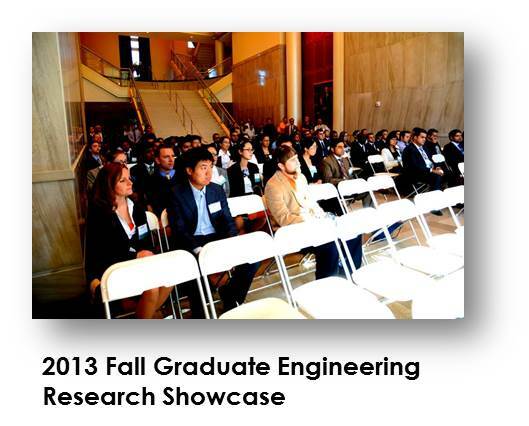 If so, the Graduate Engineering Research Showcase (GERS) is for you! 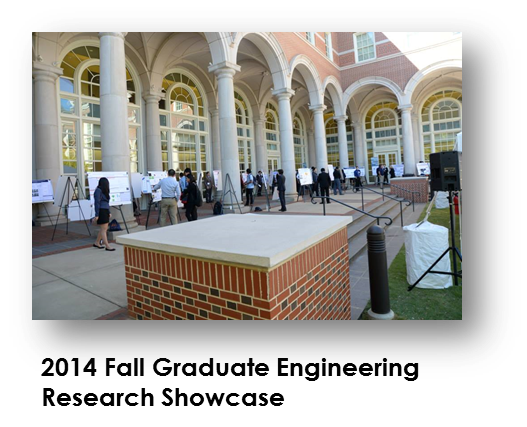 At last year's Research Showcase, the efforts of the Council of Engineering Graduate Students, with assistance from the Samuel Ginn College of Engineering, led to a successful Showcase where nearly 120 students presented their research leading to more than 20 cash awards. 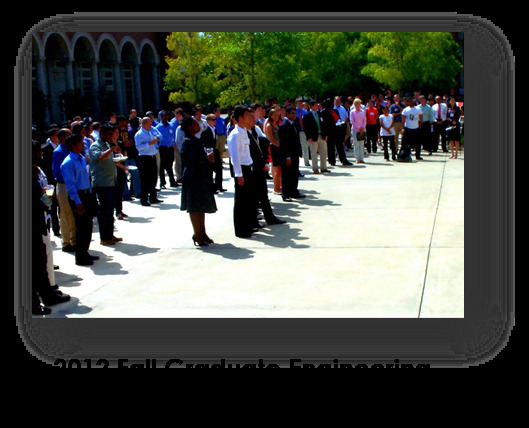 The purpose of the GERS event is to highlight and reward the outstanding work of our graduate students, to promote engineering scholarship, professionalism and interdisciplinary research, and to introduce new graduate students into the culture of our graduate programs. For those in attendance, the event was a great experience. This year, we are looking to expand by inviting representatives from industry to attend and judge the posters presented. This will provide greater exposure of our students and their work to industry. We are also awarding more than $7500 in cash prizes, including 10 department awards for best poster. So, if you are interested please register using any of the links below and feel free to extend this invitation to your friends and colleagues. 1st Place: Jonathan Cook, Polymer and Fiber Engineering, "Amine Functionalized Polyanilines as Conductive Curing Agents for Epoxy Resin"
2nd Place: Nianjun Fu, Mechanical Engineering, "Aging Induced Evolution of the Cyclic Stress-Strain Behavior of Lead Free Solders"
3rd Place: Alan Hanley, Chemical Engineering, "Developing “smart” nanostructures using Janus nanoparticles synthesized via a new method with potential for scalability"
Will Hand, Chemical Engineering, "Soy Protein Substitution in Phenol Formaldehyde Adhesive used in Oriented Strand Board"
Jessica Kelly, Chemical Engineering, "Treatment of Neurodegenerative Disease via pH Sensitive Nanopolymersomes"
Shahab Derhami, Industrial and Systems Engineering, "A novel optimization approach for data mining: a medical diagnosis case"
Alexander L. Kelly, Chemical Engineering, "Evaluation of Polymer Coated Silica Nanoparticle Cytotoxicity"
Robert Watson, Aerospace Engineering, "CFD Simulations of the Bi-Directional Vortex Liquid Rocket Engine"